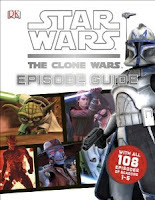 The Star Wars: The Clone Wars: Episode Guide is being released today at Amazon in the U.S. 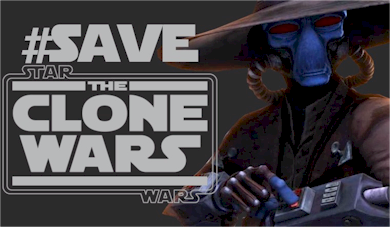 I've had mine on pre-order for a while, and one of the things that the official description says is that is interesting to me is that "For the first time, all of the episodes will be presented in story order, making this the definitive chronology of the beloved television show, The Clone Wars!" Leland Chee has been posting the timeline up to the season 2 finale, on the Star Wars blog, and it's probably fairly linear from there, but it's good to hear that the episodes will be listed in chronological order. Maybe we'll get a blu-ray complete set with the episodes listed in the correct sequence.